There are few places I like less than Blackpool so I generally try to avoid it at all costs. Unfortunately last Sunday the gorgeous Autumn weather meant a visit for the final day of the Illuminations was unavoidable (kids!). To make the day more bearable we spent most of it in the much nicer nearby town of Fleetwood, only venturing into Blackpool after dark. To help ease the pain further I hoped to find somewhere great to eat and had my heart set on fish and chips. 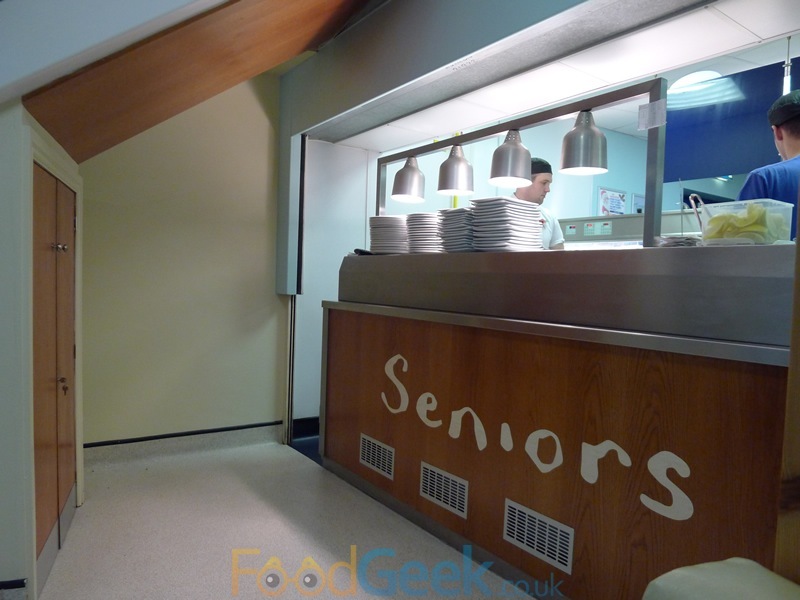 Research led me to Seniors, a family run group of restaurants with 4 branches in and around Blackpool. 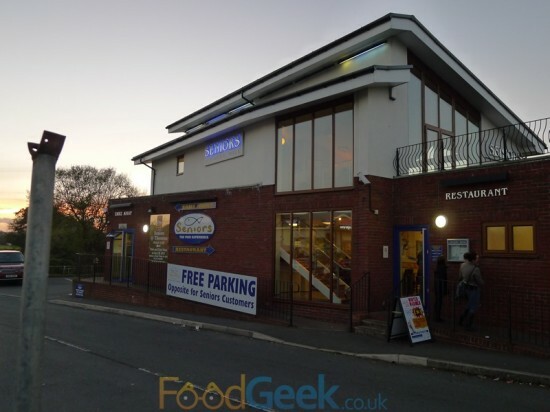 The Thornton branch was crowned ‘The UK’s Best Fish & Chip Shop’ at ‘The National Fish & Chip Awards’ last year which surprised me as we’d been several years ago when we had a perfectly adequate but rather unremarkable experience. So I was keen to return and see what had improved since my last visit. The location in Thornton couldn’t be better, situated just off the main road in between Fleetwood where we’d spent the afternoon and the start of the illuminations. Inside the restaurant is warm and welcoming, a major step up from your average fish and chip cafe. I particularly liked the semi-open kitchen and pass. They’re clearly proud of their award, it’s shown off everywhere from staff t-shirts to the paper bags containing knives and forks and the front of menus. 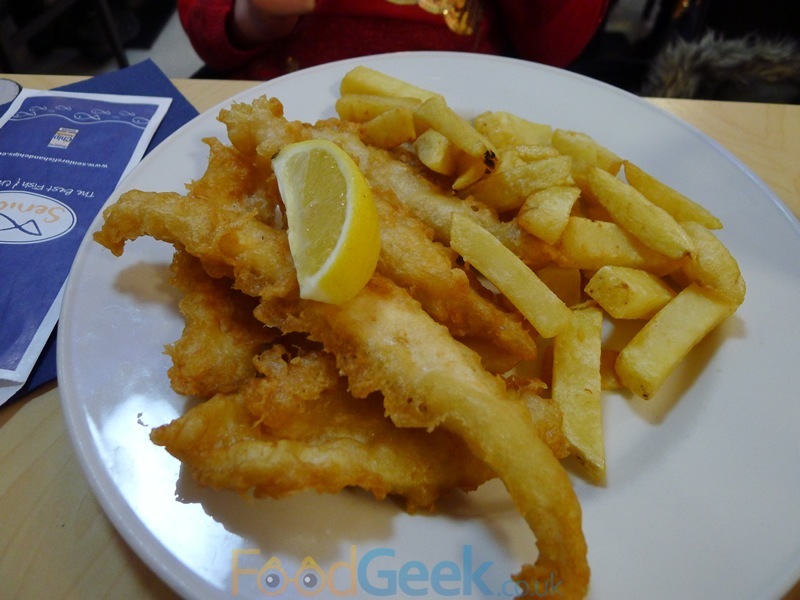 We enjoyed complimentary pieces of battered fish whilst browsing the menu which I thought was a nice touch, even better was realising that Seniors is fully licensed so I could enjoy a Peroni with my fish & chips. The menu is varied with sausages, burgers, steak puddings, pies and even quiche available. I only had eyes for the fish though where there is also a good selection. A choice of six fish: cod, plaice, haddock, hake, scampi and sea bass which I went for only to be told that they don’t sell it anymore. My disappointment was short lived however as it’s been replaced with halibut, my favourite fish. Still, it would probably be wise to have the menu updated. 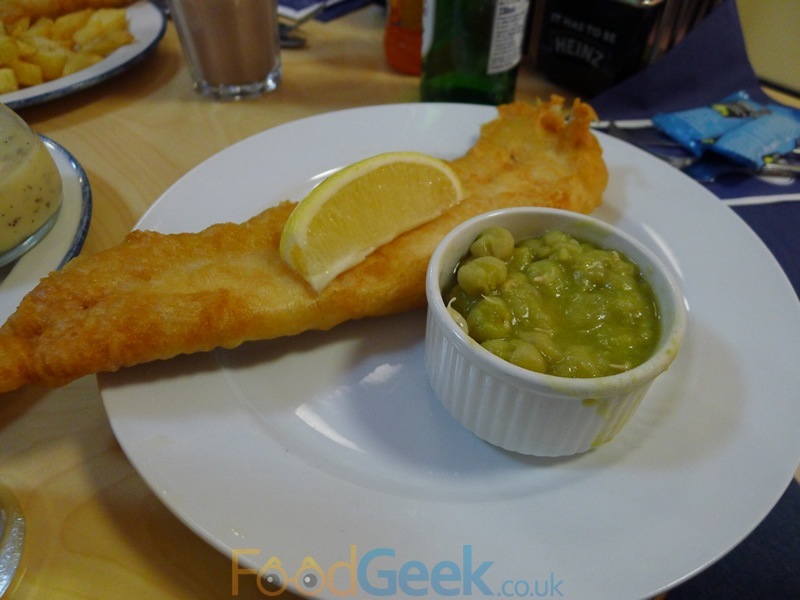 The food quickly arrived and overall was a good plate of fish, chips & peas. The star of the show was definitely the fish with it’s fantastic crispy batter and wonderfully soft, moist, meaty halibut inside. The peas were good too, very tasty and the perfect consistency. I was disappointed with the chips though which I found average at best as they lacked both flavour and texture. 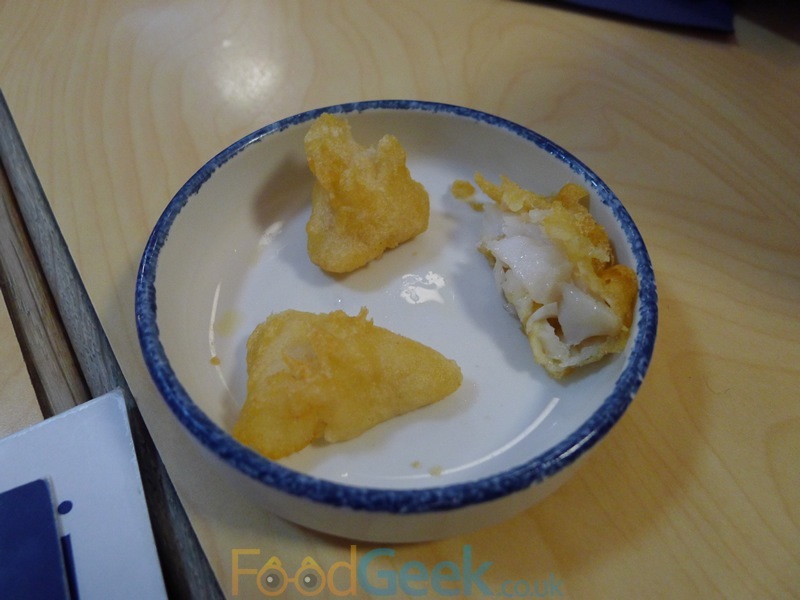 We also ordered a Haddock which wasn’t quite as good as the Halibut but still an excellent piece of well cooked, battered fish and a ‘Fish Combo’ containing various goujons of different fish in the same crispy batter. These were also great but I would’ve liked to know what fish we were actually eating. In an attempt to cancel out the fried food we ordered a ‘Salad Bowl’ which was fine, if a little uninspiring. Actually, it looked pretty good when it arrived with it’s colourful mix of cherry tomatoes, cucumber, chopped onion and yellow pepper. Disappointingly, that was a single layer on the top and under it was a bowl of dull iceberg lettuce. 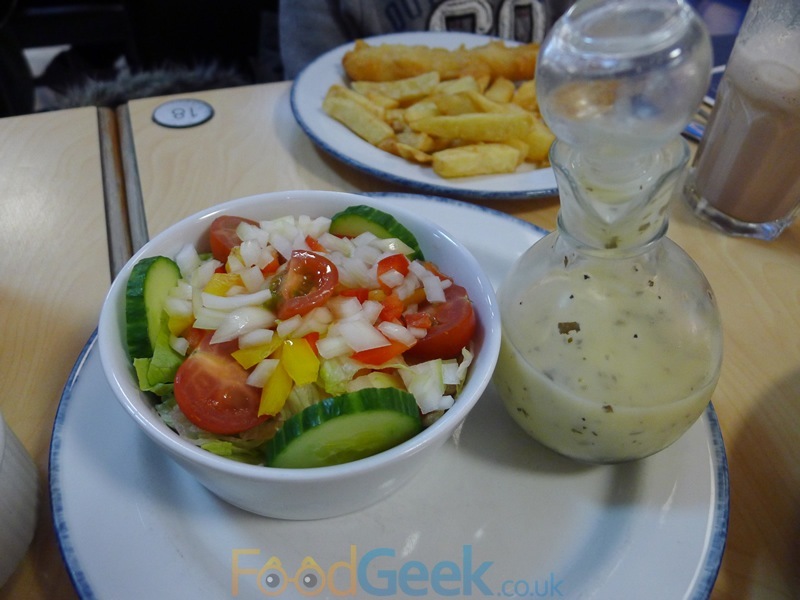 It was nice and fresh though, the dressing was good and at just £1.50 it’s hard to complain. I’d love to tell you about the desserts but unfortunately I wasn’t able to try them. They certainly looked and sounded good as they’re provided by local pudding experts ‘Lathams of Broughton‘. The menu includes one of my all time favourites – Sticky Toffee Pudding – which I would’ve eagerly ordered had I been given the opportunity. Initially service had been swift and efficient but after finishing our main course we waited over 10 minutes for plates to be cleared, even then only half of them were taken. The others were left on the table where they would remain indefinitely. A fairly large group had arrived who apparently required the complete, undivided attention of all 3 members of staff. I appreciate that dealing with such a group is demanding, however I don’t believe it justifies blatantly ignoring everybody else in the restaurant. It was frustrating to watch as all 3 servers took the drinks order and then got in each others way as they struggled to reach for various bottles and cans from the same fridges at the same time. Occasionally one of the girls would walk by our table, I hoped she was coming to offer us desserts or at the very least finish clearing our table but each time she walked straight past and seemed to purposefully avoid eye contact. This continued for a further 15minutes (over 25minutes since we’d finished eating) and the final straw was watching two members of staff entering the order into the till. At this point I gave up, they clearly had no further interest in us so I demanded the bill. Secretly I hoped to receive an apology and a chance of resolving the situation but alas all I got was a bill. It’s difficult to sum up my thoughts of Seniors. Firstly I’m going to forget about the award, there’s no doubt they’re a good fish and chip shop but there are plenty of a similar quality all over the country. 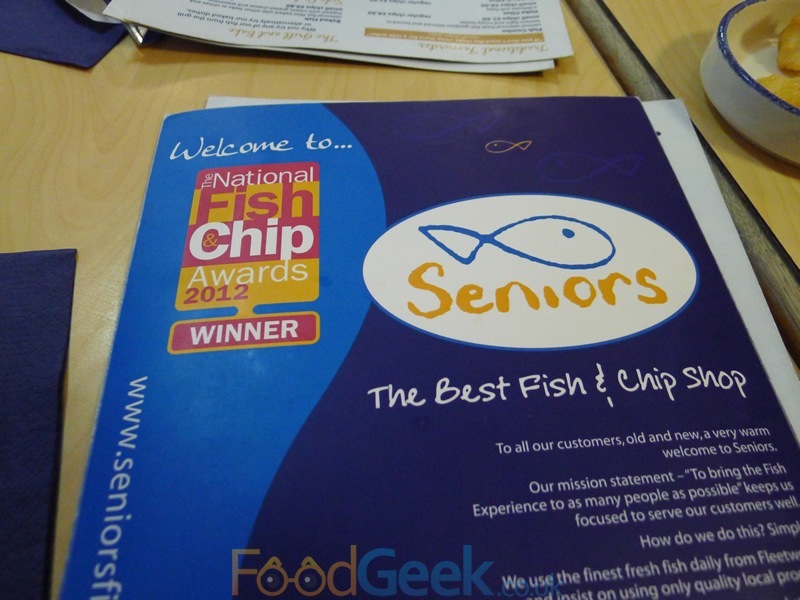 Whilst the award is clearly good publicity for them it also increases expectations and as much as I enjoyed the fish, overall the food wasn’t anything more than good fish and chips. 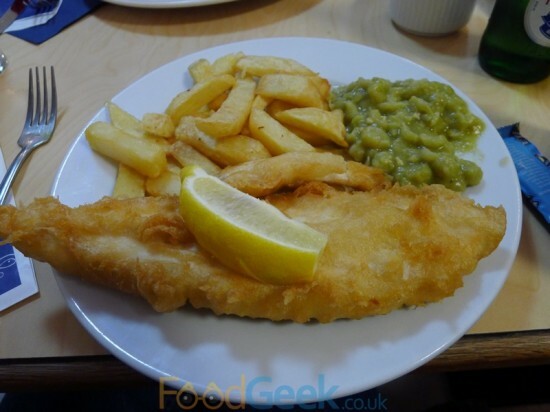 Not that there’s anything wrong with that, floppy chops aside it’s well above average and fantastic value but a title like ‘The UKs Best Fish & Chip Shop’ can leave you wanting more. It’s such a shame that the level of service didn’t match the standard of food though, they certainly wouldn’t win any awards had the judges been treated in the same way. To make matters worse, I spoke to the owner of Seniors via Twitter the same evening and was genuinely shocked that he condoned the behaviour of his staff. Whilst he was apologetic about “the delay” he seemed to find it perfectly acceptable that all of his staff dealt with one party whilst neglecting us and any other customers in the restaurant for such a long period of time. I can only assume it’s because they would make more money from the large group or perhaps they’re regulars? But for me good service is about treating all customers equally. It seems obvious that one of the staff should have left the other two with the large group to check on the other diners. To be fair to the staff on the floor, they all seemed fairly young and possibly inexperienced. Had there been any sort of management presence the whole situation may have been avoided. I’d purposefully left this review for a few days in an attempt to calm down and be as fair and objective as possible. I’ve since spoken to the owner again and he’s now accepting that they made a mistake and apologised for that rather than just the delay. I’ve accepted the apology and from everything I’ve seen and heard about him and the business I believe he’s genuine and that this was a one off mistake. 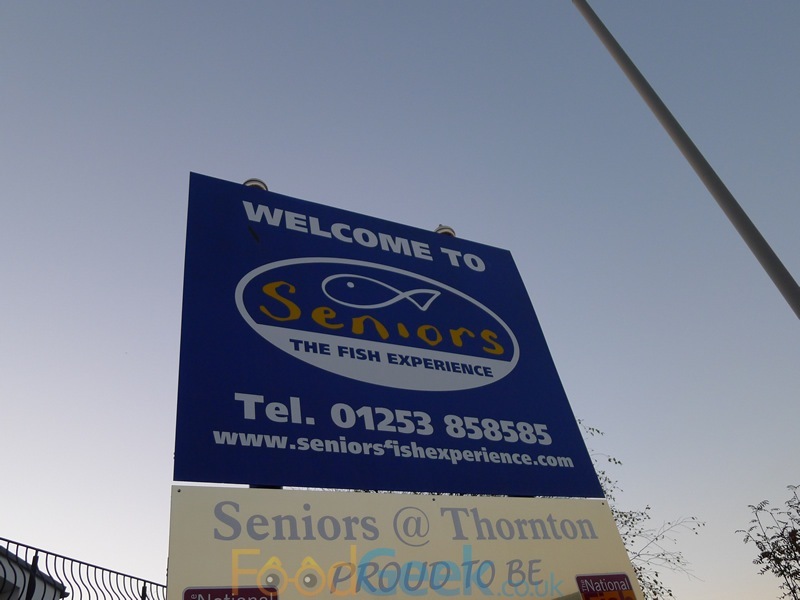 I can’t say i’ll be rushing back to Seniors but I won’t let this situation stop me from returning at some point in the future as I’ve no doubt that they are a good fish & chip shop. It’s such a disappointment when there’s good food but the service lets it down. I’ve stopped going to Livebait because of the shocking service we once got and the subsequent lack of service when I contacted them about it. A real shame as the food was (and I’m told still is) very good. Livebait has actually shut down now, the building is being taken over by Reds BBQ early next year which I’m pretty excited about! Wow – well that shows how long it’d been! It almost felt as though it was cutting off my nose to spite my face, but the attitude of the staff both there and then at their head office meant I wasn’t going to spend any more there.